OTTAWA - Hundreds of technology workers lined an Ottawa street Thursday to witness what was billed as Canada's first public test of an autonomous car linked to municipal infrastructure. Mayor Jim Watson called the event "a very, very historic day for our city and our country." Watson and Councillor Marianne Wilkinson were among passengers in the BlackBerry QNX Lincoln MKZ test car that zipped along Legget Drive in the Kanata North Technology Park, its sensors reading freshly painted street markings and communicating with dedicated short-range transmitters mounted on traffic lights. The street was closed for the public demonstration, but the car is expected to be operating on city streets in the test area amidst real traffic and pedestrians. The on-street testing actually began without fanfare in September, but BlackBerry QNX senior vice-president John Wall said Thursday's demonstration offered "public proof" of progress at the company's autonomous drive research centre in Ottawa. "Today is the first public fruits of what we've been doing," BlackBerry QNX senior vice-president John Wall said. "In a lot of cases, the OEMs want to own that, so the Fords of this world, the Mercedes of this world, that's their secret sauce, they're going to build the brain," Wall said. "We're going to provide all the infrastructure, the security, the safety, the redundancy, the communication, how the signals come in." BlackBerry wants to be the prime supplier of software for autonomous driving, building on the programming it already supplies to carmakers around the world for infotainment and other systems. Automotive and technology companies around the world have been racing to develop self-driving systems. BlackBerry, however, is up against Apple, Google and other heavyweights in the frenzy to bring AV technology to market. Municipal leaders are seeking to establish Ottawa as a "centre of excellence" for autonomous vehicle research that would be built around BlackBerry and as many as 70 other companies in the capital with AV expertise. Technology from Coda Wireless, Luxcom and NovAtel is already part of the on-street testing, while Nokia is scheduled to add LTE and 5G capability to a route that will grow to take in major arteries. However, the federal government didn’t highlight autonomous transportation in its newly announced shortlist of fields for "supercluster" funding, although support could still come from a $2.1-billion program to enhance trade and transportation corridors. Meanwhile, A demonstration test zone has been announced for Stratford, Ont., as part of the Ontario government's plan to create an Autonomous Vehicle Innovation Network, with the help of $80 million over five years. Canada is well behind the United States, Germany and other countries that have permitted AV trials on public roads for years. And even while Ontario is now allowing BlackBerry and two other organizations to send out autonomous cars with safety drivers behind the wheel, California is poised to allow testing of full Level 4 vehicles with no human at the controls. But, unlike southern California, however, Ottawa has snow for several months of the year, which both Watson and Wall suggest gives the city an advantage in real-world testing. 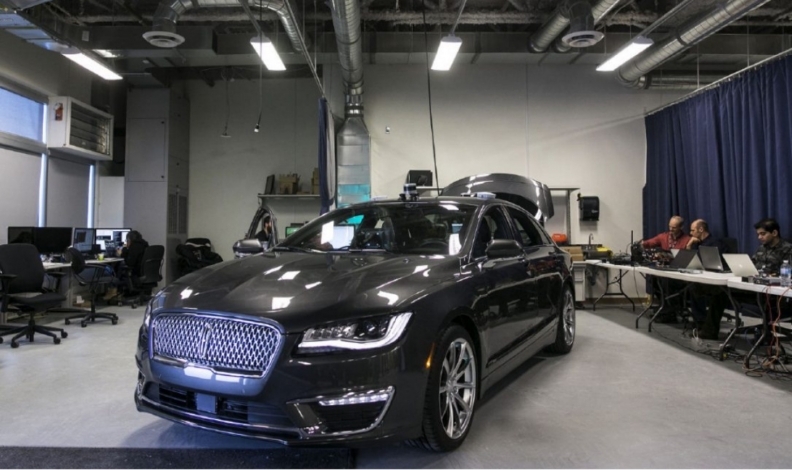 How well BlackBerry's Lincoln can handle ice-covered streets has yet to be seen, but Watson is confident autonomous driving will be taking place on busy downtown streets – and not just in the Kanata tech suburb – in the not-distant future. "I think it's realistic to say it will be within the next decade," the mayor said.